S/Sgt. 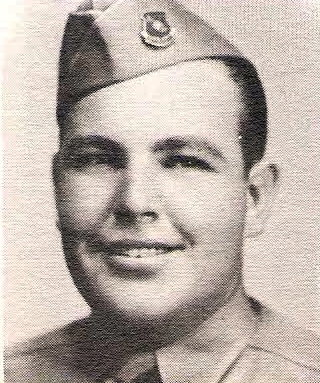 Burton L. Kirtley, Jr., son of Mr. and Mrs. B. L. Kirtley, Graham. Entered Army in 1942, trained at Camp Barkeley, Tex. Served n Normandy, N. France, Rhineland, Ardennes, Battle of the Bulge and Cent. Europe. Awarded Purple Heart, Bronze Star, ETO Ribbon with 5 battle stars and Combat Inf. Badge. Wounded in Germany, 1944. Discharged in 1945.